Fear and anxiety are perhaps the most common reasons that patients don’t seek dental care until there are noticeable problems with their oral health. Our practice is committed to ensuring your comfort during your entire visit. Each of our doctors and staff understand that your previous experiences of dental care may make you hesitant to receive care. 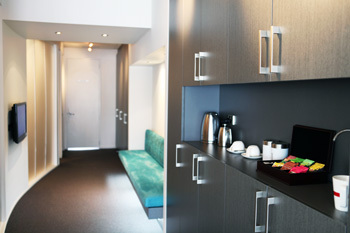 Because of that we take special steps to ensure your comfort throughout your entire visit. Dental fear is nothing to be ashamed of, and at Kumeu Dental we want you to know that the better you communicate your needs to us, the more attentive our care can be. Many new patients come into our office not knowing what to expect, and assuming they are the only ones who have experienced dental anxiety. Our team takes extra care and consideration towards ensuring our patients know what is involved in the procedures and therapies we offer. Additionally, patients are able to utilise our video screening room to learn more about a particular procedures prior to treatment and over readily available refreshments. 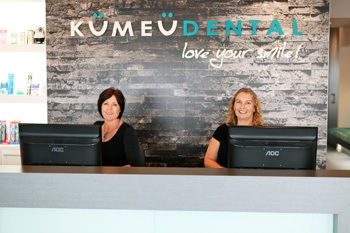 Patients also have the option to utilize Kumeu Dental’s sedation services. For some patients, their dental anxiety is so severe that gentle care isn’t enough. We offer in-house IV sedation services as well as orally administered anxiety medication or sedatives to help calm even the most hesitant of patients. By utilizing these adjunctive services, you can receive the necessary care to restore the health of your smile.